With lush jungles, beautiful forests, limestone cliffs, and winding rivers, Vietnam is an ideal adventure travel destination. Visit the beautiful hills of Sapa Valley, discover laid back towns like Hoi An, or enjoy the bustling city of Ho Chi Minh. Depending on where you travel throughout Vietnam, customs and traditions may vary slightly. However, making an effort to demonstrate respect and knowledge of the culture will be appreciated everywhere. 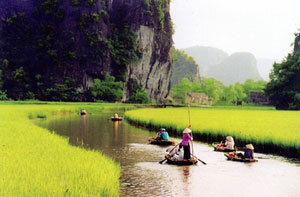 The etiquette and customs of Vietnam is a reflection of the unique culture and lifestyle of the country. 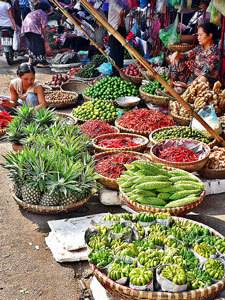 The people are polite and friendly, and family is very important in Vietnamese culture. As an addition to our Know Before You Go series, here are a few Vietnam tour tips. Family is a very important aspect of life in Vietnam, the immediate and extended family. They live in large patriarchal joint families, and often times multiple generations live in the same house. The father is considered the head of the household and is responsible for much of the decision making. Children take care of their aging parents. The most prominent religion in Vietnam is Buddhism, with Confucianism, Taoism, and Catholicism and also being popular. You will notice the philosophies of Buddhism, Taoism, and Confucianism play a big part in the culture and every day lives. For example, Confucian beliefs emphasize respect for elders, and strongly influence family relationships in Vietnam. Ancestor worship is common. Once someone passes away the Vietnamese believe their spirit lives on and they often hold ceremonies in their memory on the anniversary of their death, or during certain festivals. The ancestors are believed to protect the living. Don’t touch anyone’s head; this is very disrespectful in Asian countries. It is impolite to point with your finger. Instead, use your entire hand to gesture towards something. Don’t stand with your hands on your hips, it is considered ill-mannered, as is, crossing your arms across your chest. Avoid loud conversations and using large gestures, as this is considered rude. The young generations generally shake both hands when greeting, and do not usually shake hands with an older person. A slight bow may be used to show respect to an elderly person. Dress conservatively. Even though it can get quite hot, it is best not to show too much skin. Dress appropriate when visiting pagodas, meaning no shorts, skirts, dresses, or revealing clothing. In larger cities the dress code may be a little more relaxed. You should wait to be showed your seat at the table. The eldest person will sit first. Pass dishes with both hands. Meals are served family style. Try to finish everything on your plate to show you enjoyed it. It is acceptable to hold bowls close to your face to make it easier to eat. Spoons should be held with the left hand when eating soup. Like many Asian countries, bargaining will occur in many transactions. It is important to save face in Asia, so be sure to be polite and keep bargaining fair. Avoid getting angry or arguing. Tipping is not expected in Vietnam, but is greatly appreciated. High end hotels or restaurants may have a 5% service charge, but this does not always go to the staff. If you stay at a nice eco lodge for several days, you may want to leave a tip for the staff. You should tip drivers and guides; group tours will often pool together a communal tip. Another instance where you should consider leaving a tip is at the end of a visit to a pagoda, especially if a monk has show you around the grounds. Many pagodas have a contribution box for this reason. 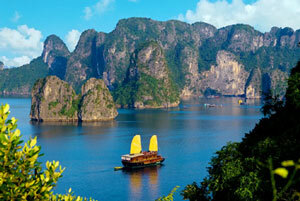 Vietnam offers an abundant range of options. 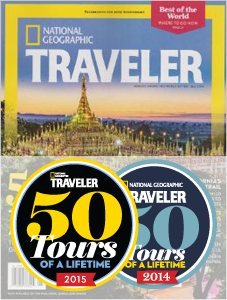 Browse our Vietnam tours which include everything from Halong Bay cruises, custom Mekong Delta itineraries, and a Phu Quoc Island retreat, among other things. Contact us for a custom tour designed to meet your travel budget and needs by calling us at (866) 577-2462. Do you have any Vietnam travel tips to add?